Heuristic evaluation has proven popular for desktop and web interfaces, both in practical design and as a research topic. Compared to full user studies, heuristic evaluation can be highly cost-effective, allowing a large proportion of usability flaws to be detected ahead of full development with limited resource investment. Mobile computing shares many usability issues with more conventional interfaces. However, it also poses particular problems for usability evaluation related to aspects such as limited screen real estate, intermittent user attention, and contextual factors. This article describes a modified collection of usability heuristics that are designed to be appropriate for evaluation in mobile computing. They have been systematically derived from extensive literature and empirically validated. 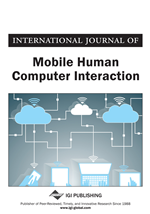 They therefore offer a sound basis for heuristic-based evaluation in mobile computing. Besides introducing the reader to the practical use of heuristic evaluation, the article also closes with a description of potential future research in the area.